2nd time there while on my way from London to Ancona via car. Close to the Exit No23 (Sortie 23), 3 minute drive aprx. from Reims's center. 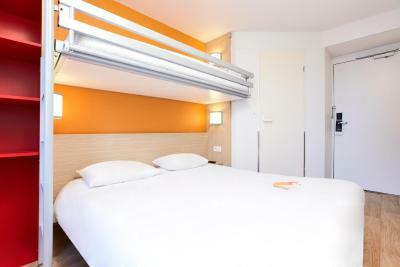 Clean and comfort bed for a price tag range 38€ - 48€. Next to Leclerc Mall. 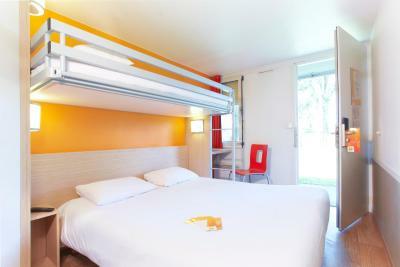 Beds comfy and just off motorway so perfect if travelling from the south. Good value - easy to get to. Great parking. Poor wifi but it works. Reasonable €5 breakfast. I liked that there was a lot of parking. And it was free. It is close driving distance to Reims. Exceptionally kind male staff in the evening at check in, very helpful indeed. Basic accomodation but good for a night. 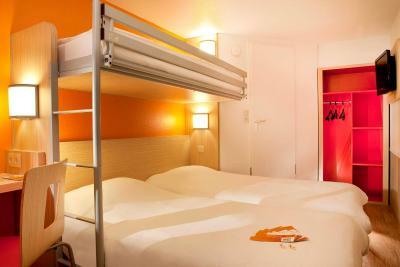 Comfy , clean bed. 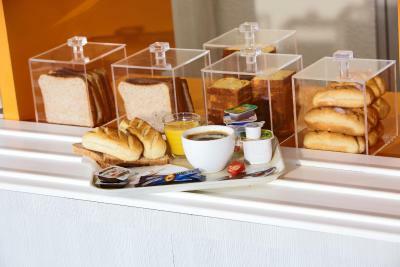 Good continental breakfast. 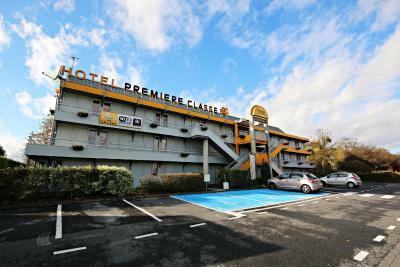 The hotel is conveniently located off the motorway. 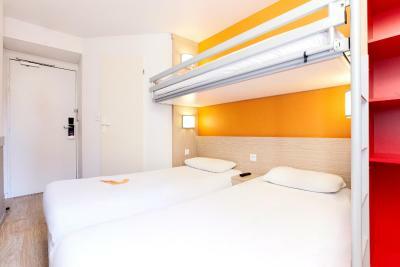 The rooms were clean, functional and comfortable. Our room at the back of the hotel was quiet and we slept well. The access to this hotel from the motorway was very easy. 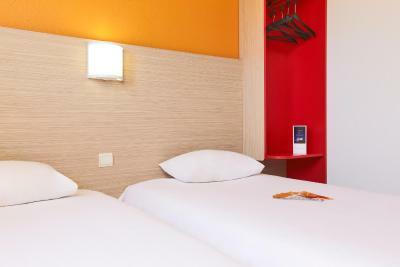 The rooms are clean, functional and comfortable. Quick and flexible check in, clean and well placed. Perfect overnight stopover. 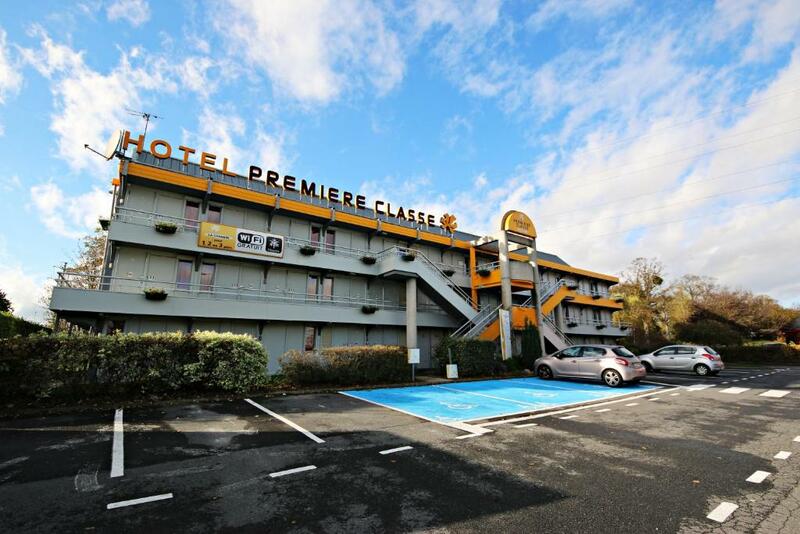 This Premiere Classe is located in southern Reims, a few minutes’ drive from the A4 motorway and a 10-minute drive from both Reims Convention Center and Reims Exhibition Center. 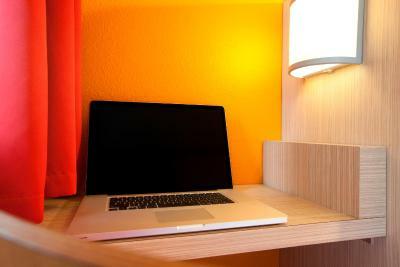 It offers air-conditioned guest rooms with TVs and free WiFi access. 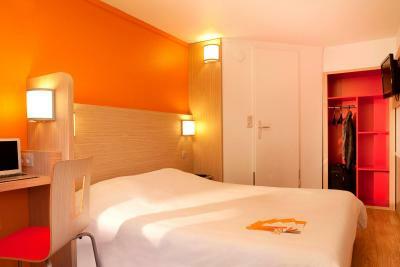 Free parking is available and guests can access central Reims in 10 minutes by car. 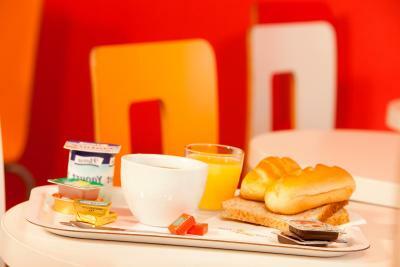 A buffet breakfast is available in the mornings and the Reims Sud’s staff will be happy to recommend a restaurant nearby. 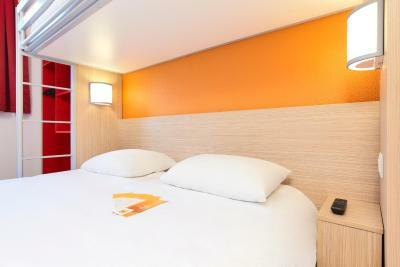 Guests of the Premiere Classe Reims Sud can visit the Carnegie Library, Reims Cathedral and the Palace of Tau in central Reims. 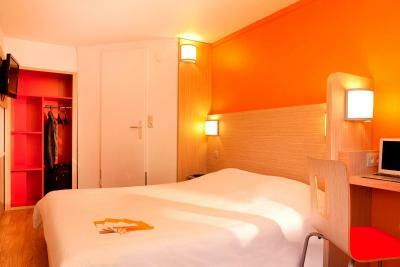 When would you like to stay at Premiere Classe Reims Sud - Bezannes? 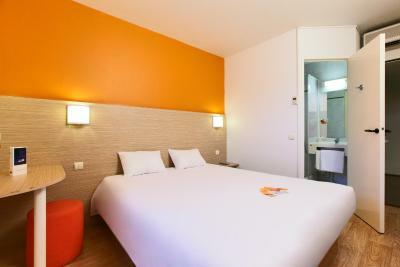 Each air-conditioned room has a TV, free Wi-Fi access and a private bathroom with a shower. 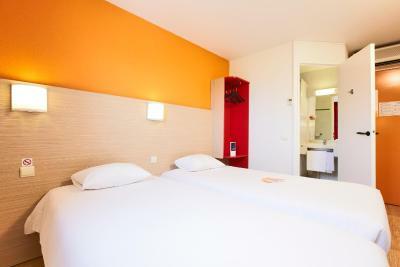 House Rules Premiere Classe Reims Sud - Bezannes takes special requests – add in the next step! 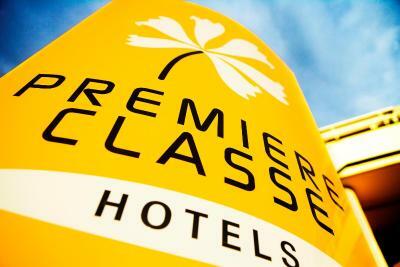 Premiere Classe Reims Sud - Bezannes accepts these cards and reserves the right to temporarily hold an amount prior to arrival. If you plan to arrive outside regular front desk hours, please ensure that you bring the credit card used to make the reservation. Filthy bathroom, stinky shower curtain, damaged tap. 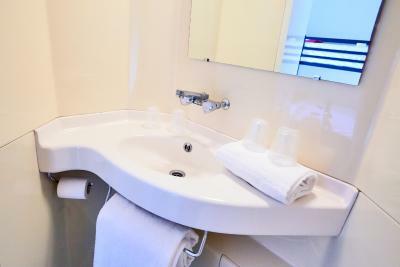 Very noisy, next to a busy road, toilet roll holder broken, very small shower and toilet. Breakfast disappointing, no croissants! The hotel is starting to get very tired. Our daughter's room smelt of cigarette smoke although there is supposed to be a no smoking policy. 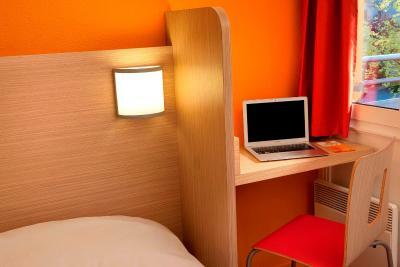 They found their room at the front of the hotel noisy and their sleep was disturbed. It is very noisy at the front of the hotel. We were particularly bothered by a crowd in the car park who weren't even staying and the car engines because the car park is so close. The doors aren't easy to shut and are therefore also noisy. The booking system for associated rooms seems awkward and our daughter's room had a broken toilet. Dirty. Cigarette burns on linen. Smoke smell in the room. People had clearly smoked before. Shower curtain broken. Nothing apart from close location to motorway. Sofa that pulled out into a double was broken. It was fixed the following day, but a thin mattress makes it pretty uncomfortable. Have stayed here many times before, but since our last visit, huge apartments have been built opposite which spoil lovely view down into valley. 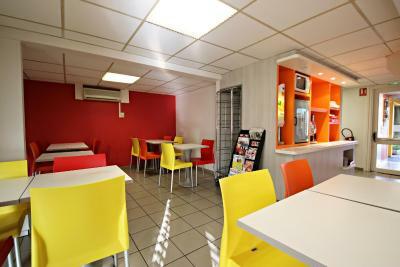 Can’t get much cheaper for the location but don’t go here if it’s comfort you like. A good road side motel ideal for a night stop.